Some say the semicolons should be retired now, nobody uses them anymore as they’re considered to be pretentious in modern language. In this topic we are going to find out what are those troubles that bother people about using the semicolons and how should they be solved because the one cannot simply replace the semicolon with commas or periods, proven! A semicolon is actually stronger than a comma but still weaker than a period, so we’ve gathered a bunch of the most confusing semicolon questions people search the answers for in Google every day. Here you can find the most common questions flooding people’s minds and short, definite grammar rules containing semicolon usage. Semicolon might seem like redundant and extinct punctuation mark that is hard to check in case you don’t know where to get a cool semicolon checker. Italian printer Aldus Manutius was the first one to print the semicolon in 1494, giving the suggestion that it should be used to separate words having opposite meaning and also provide the quick change in the direction connecting independent statements, whereas today the semicolons are used for listing the items and linking the clauses that are related with each other. Get these outstanding cardiovascular fellowship personal statement writing tips and shine above the rest! 5 Facts about semicolons we bet you didn’t know! Did you? Vote for yes if you did, vote for no if you didn’t! Q: What does semicolon mean in texting? A: If you always look for a hidden meaning of punctuation when texting to someone there’s a post for you uncovering 11 secret meanings behind punctuation in text messages. Q: What does semicolon mean? A: Semicolon is a punctuation mark that connects two ideas that share the same meaning. Semicolons are some of the most feared, omitted and misused punctuation marks in the English grammar, nowadays it is mostly used for lists and separating the independent clauses in the sentence. 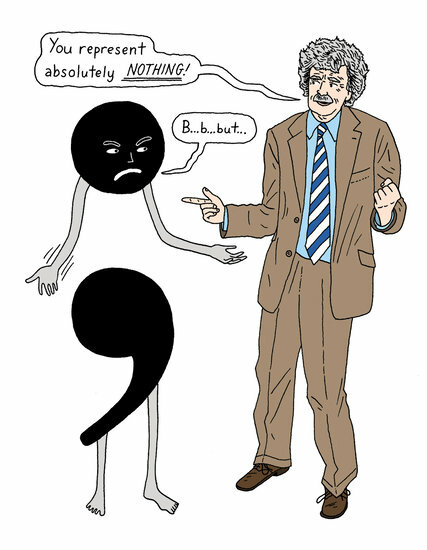 Q: Which comma or semicolon to use? A: An independent clause is a sentence that contains the subject and the verb and is expressing the idea fully. Independent clauses sometimes tend to stand alone in the sentence and sometimes they are grouped together, they are linked to each other, creating a compound sentence. I’m heading to my friend, and I intend to eat all of his cookies. It snowed all day that afternoon, but I’ve managed to get there in time anyway. In case you have no connecting words to help you out with linking of clauses you can use a semicolon. I am going to Jack’s house; I intend to eat all the cookies there. It snowed all day that afternoon; I’ve managed to get there in time anyway. Q: How to use semicolon and comma? A: For joining the independent clauses the semicolon is irreplaceable as you can see. In other words, a semicolon is a quite good idea for sentences in case the second part of the sentence doesn’t draw the meaning from the first one but rather exists in the form of the separate idea. I ate all the cookies; cookies tasted delicious. Note that even though the two sentence parts are describing the same idea (subject) the second one still bears its own idea and can exist as sentence separately, it comes with the new piece of text with new information. Check this site for the professional nursing assignment help! Q: What if I use a semicolon instead of comma? A: You can use a semicolon in case you are using the word of introduction like: for instance, however, therefore and so on. Use the semicolon to separate the sentence parts where comma just wouldn’t do, like in two separate sentences. In some cases the introductory word is preceded by the semicolon, meaning it should be followed by the comma. I hate sweets; however, I do like my friend’s cookies. You can also use the semicolon for the items separation for the list that contains commas. I’ve been searching for cookies in Los Angeles, California; Boston, Massachusetts and Nashville, Tennessee. Q: How to align semicolon in Word? A: Not the question of grammar but nevertheless, a very useful tip on editing documents. If you want your paper to look neatly and carefully arranged going down as a one line you will have to learn some useful tips from the short 5-minute long video. You can create the 2-column table and put the left-hand data in the left column and the right-hand data in the right column or just add a tab-stop to the paragraph at an appropriate position and insert a tab character between the colon and the data that follows it. Q: How to use a semicolon when listing dates? I’ve been searching for cookies in Newcastle, Carlisle, and York. I’ve been searching for cookies in Newcastle, Carlisle, and York in the North; Bristol, Exeter, and Portsmouth in the South; and Cromer, Norwich, and Lincoln in the East. Q: How to use a semicolon when using “therefore”? A: Namely, however, and therefore just like for instance, for example, and other related words need a semicolon usage before them in case they introduce the whole sentence. You can use a comma in such as well. Bring any two cookies; however, I prefer salted. Q: Should I use a semicolon when comparing? A: Mind that semicolon is used before the conjunctive adverbs and transitional phrases that link independent clauses. 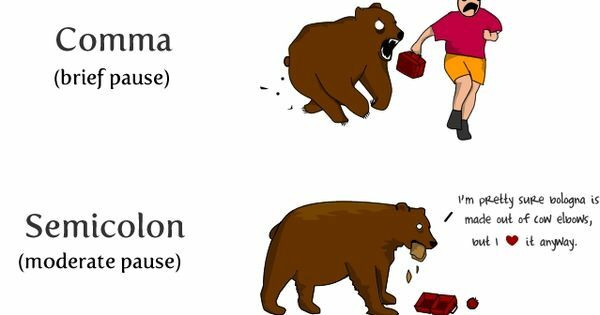 A transitional phrase is a kind of phrase that transits between the independent clauses and shows a comparison, contrast, cause-effect, sequence, and other relationships. A conjunctive adverb is a kind of adverb that transits between independent clauses and shows a comparison, contrast, cause-effect, sequence, and other relationships. Philip bought some cookies; however, he knows he can always ask for Jack’s. Cindy has asked me for cookies; in addition, she has asked Jack for some. Q: How to use a semicolon when quoting? A: For the quotation withing the quotations you can use multiple quotation marks, keep them together (put periods and commas inside both; put semi-colons, colons, etc., outside both). Q: How to use a semicolon in list? The were different cookies: salted ones, the crackers; sweet ones, the oreos, the spicy ones, self-baked. Colleges still demand the impeccable knowledge of semicolons, especially when you write a term paper, dissertation or a course work, mind it, they are still the part of the grammar, the great part that can actually somehow reflect on your degree. The majority of magazines, newspapers are still using them, remember? Using the semicolon is still the part of good writing etiquette. How else you figured you can create a winky smile without using a one? Do semicolon grammar rules puzzle you? No worries with right grammar tools here!